These are questions I’m hearing a lot since the passage of the massive new tax bill. Much of the worry centers around some misconceptions. So, I’d like to outline what’s in the new provision, who it affects, and why you likely don’t need to change a thing to benefit. The most important outcome of the new tax law (officially the Tax Cuts and Jobs Act, or TCJA) was to give a large, permanent tax cut to corporations. The corporate tax rate went from 35% to 21%. Those numbers are a little deceptive, because most US corporations don’t pay nearly that rate once you factor in tax credits and loopholes. 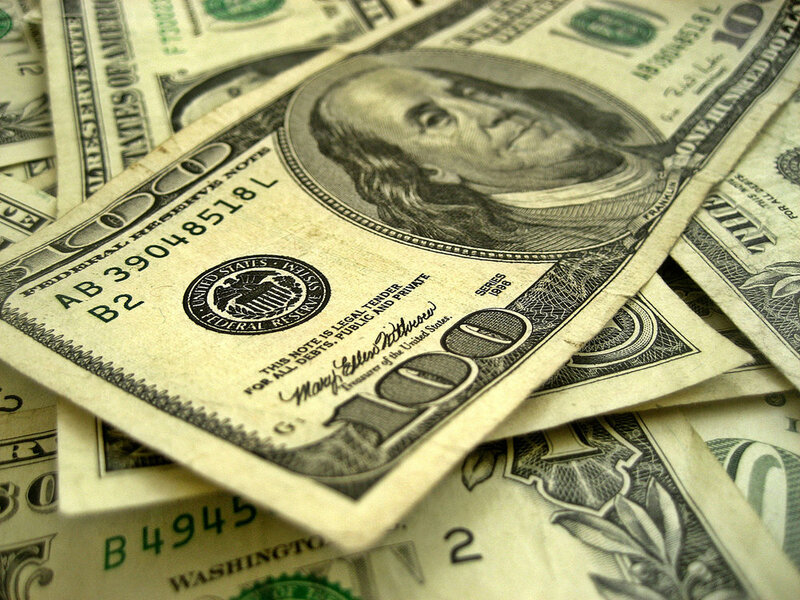 A 2016 U.S. Government Accountability Office study found that between 67% and 72% of all active US Corporations between 2006 and 2012 had no tax liability after credits. In fact, the effective corporate tax rate (a much more meaningful number) is closer to 15%. But despite the fact that most corporations don’t pay anything close to the corporate tax rate, the point of the TCJA was largely to cut that rate. What's the Deal with Receipts? Look at all these tax deductions! 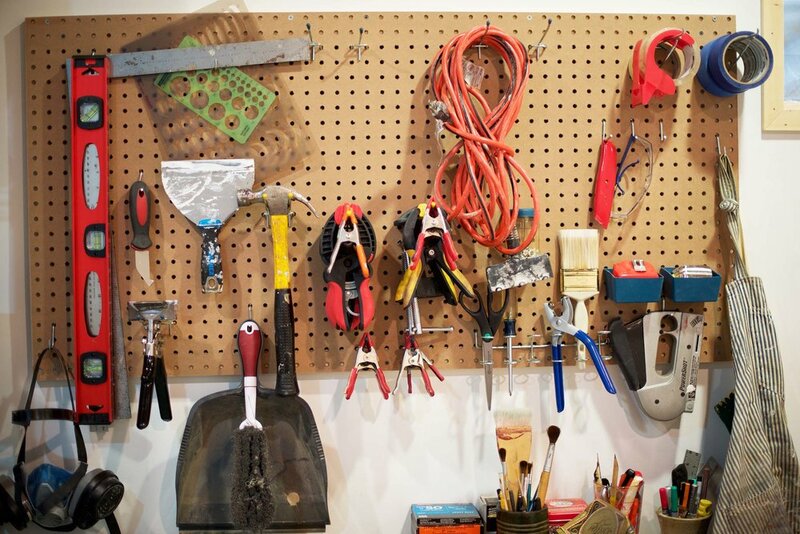 These are my actual studio tools. Here’s the confusion: You keep hearing that the IRS requires you to keep receipts and documentation for all of your business expenses. So why is your accountant annoyed when you try to hand her your receipts? Here’s the story. Yes, you are required to keep receipts and documentation to prove each and every one of the business expenses that you deduct. That is the law. And here is the actual gospel, from the IRS itself. And here is a comprehensive list of what New York considers to be legal proof of your expenses. In case it’s not clear - and I get enough questions from people to know that it isn’t - the reason that you need this documentation, besides being a good practice for your actual business anyway, is that should the IRS or your state decide to examine your tax return, this is the proof of expenses they will require you to show them in order for them to allow you to keep those deductions. If you can’t, then you have just lost your audit, you may have a bad experience, and you will owe them money. You need to save these receipts and documentation for 7 years. So why is your accountant irritable when you hand over receipts? That is another story. Tax season is super stressful. Most people, despite their intentions, don’t get their tax documents organized until a few weeks before the tax deadline, so your tax accountant has a drinking-out-of-a-firehose situation from about March 1-April 15. A lot of inexperienced taxpayers with freelance income don’t realize that they have a fairly big job to do before they can get their taxes done - that is, they need to do their bookkeeping. They need to tally up their receipts and income, and put it into some basic expense categories. Here’s a beautiful chart to help you with that. If that’s intimidating to you, hiring a bookkeeper is a great idea. Your bookkeeper can help you put things in the right categories, teach you how to maintain your own books, answer your questions and set you up with a system that works well for you. A good bookkeeper is worth the money. So keeping your books is a requirement if you run a business. And if you’re a freelancer of any kind, though you might not have realized it, you are running a business. 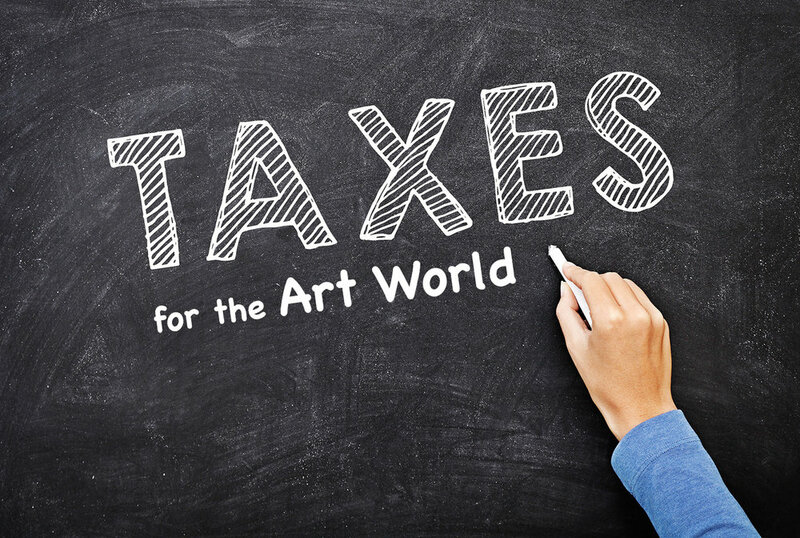 My course The Ultimate Honest Guide to Understanding Artists’ Taxes is a great primer on the need for good books and records and gives great insight into what happens in an artist/creative worker audit. It’s one hour, and very worth it. So showing your accountant your receipts says that you haven’t done your bookkeeping, that you probably don’t realize that you have a sizeable job ahead of you, and that you probably need some coaching about the basic tax rules. This is totally understandable. You’re just a bespoke latex dog-costume designer, not an accountant! This might even be your first year freelancing. But your accountant is facing an immovable deadline with an obscene flood of work. So if she’s not keeping up with her loving-kindness meditation, she might get grumpy with you. As a person who was new at my arts practice once, and as a tax accountant, I’m advocating for understanding in both directions here. Bookkeeping. If you have a system that isn’t working, pay a bookkeeper to look it over for you, or take a bookkeeping course yourself. Good bookkeeping is a question of habit. So schedule a regular time to do it. Saving receipts. The law says that if you can’t produce the receipt to prove it, it never happened, and you can’t deduct the expense. Your bank and credit card statements aren’t enough. For meals and entertainment, the documentation requirement is even stricter: the receipt must be accompanied by the name of the business contact you are meeting with, plus the reason for the meeting. A receipt alone will not suffice. Personally, if I don’t grab a pen and jot these things down at the moment I am handed the receipt, I will never do it. So that has become my personal habit – I write directly on my receipts, and the save them in a file folder. Some people are handy enough with their phones that they snap a picture of every receipt (many accounting softwares integrate a receipt-saving feature like this, and there are stand alone apps dedicated to it). I am not fast enough with my phone for this to work for me, but if you are, it is a great method for keeping your receipts. Keeping a calendar. In the days of Google calendar, you probably have one that is pretty good already. But you might not realize that this can be an important document to show your business activity in the event of an audit. Your calendar can be used to show the amount of overall time you spend on your arts practice — and that means everything from making the actual work to networking, marketing, and bookkeeping. Your calendar can also show who you met with and for what purpose. This may corroborate other parts of your documentation, from travel expenses (your calendar shows the meetings you had set up in your travel location), to your meals expenses (meeting the strict substantiation requirement of who you met with and for what purpose). Maintaining important correspondence that shows your effort to grow your career. You may still snail-mail out old-school introduction packets to museums (and be sure to save those receipts if you do! ), but you almost certainly reach out to art world people over email. In the days of searchable email, this is a lifesaver. If you use an email folder system, consider saving this correspondence into one place (ie. “gallery + museum correspondence 2018”), so that in the event of an audit, you can produce this important evidence of your businesslike intentions quickly and without having to rely on your memory. Maintaining your arts inventory. In Susan Crile’s drawn-out audit, her professional inventory system weighed heavily in her favor to prove that she was a professional artist and not a hobbyist. How do you track your art inventory? Having an up-to-date document that shows what you’ve produced and where everything is is an important tool in your arsenal. Tracking mileage. I went over the details of mileage tracking in my Miami travel expense post. But here’s a tip: go out and record your car’s odometer reading right now. And while you’re at it, set an alarm on your calendar to do this the first day of every year. Because tracking your business mileage means not only tracking the number of business miles you drove this year, you also must record your total miles for the year. By recording your odometer on day one, you have both your ending mileage for last year, and your beginning mileage for this year. Two birds. One stone. It’s been a terrible week. Tuesday’s election of Donald Trump has already damaged the emotional wellbeing of our country and its citizens. He will do much worse in the long term. Most immediately, many of us are feeling wrecked. I include myself in that group. I had envisioned taking my daughters to the inauguration of the first woman President, and assured them that a bully and an abuser would not be chosen by the American people. Not only will we not see the inauguration of the first woman President, but a bully and an abuser has been chosen by the American people. This is not the history I’d hoped my children would live through. In the long term, it’s less clear what this means for us as a nation. There’s no way to predict the future, but if we want to see any kind of positive outcome we have to start organizing now. There are a lot of ways to participate. We can join protests, reach out to our neighbors. My weapon of choice, though, is to begin with the process of self-education. We can’t fight against powers we don’t understand. As a tax expert, I intend to help. With the upcoming push for regressive tax legislation, it’s important to understand what’s being proposed and how it will affect us both as individuals and in the professional field in which we’ve invested our lives. Some of these changes may have a profound impact on both the high and low ends of the art market and non-profit sectors, so we need to be prepared. Tax reform – specifically, supply-side theory-based tax cuts for the wealthy and for corporations – is the one thing that Trump and Congress currently agree on. Our House Speaker Paul Ryan is a self-proclaimed “tax wonk,” (and he has already announced his plan to privatize Medicare). Trump’s plan has shifted over the course of the election, and his campaign speeches contradict his proposed policies. He has suggested that he would let Ryan take over the detail. There’s some bad stuff coming.